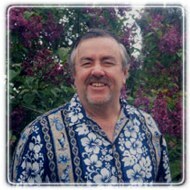 Ottawa Therapist: Richard Merrill Haney - Therapist K1S 3X1. ....I provide warm,heart-connected and empathetic counselling, coaching and mediation services to individuals, couples and families. I concentrate on "wholistic healing" and empowerment rather than on being clinical and "helping". Basically I form what I call a "Healing Partnership" with the people who come for my services. I tend to be quite eclectic and bring a wide variety of skills, techniques, modalities and wisdom to each counselling interaction. Please contact me to enhance your life and make the most out of each moment. ....The people who come to see me have often commented that I possess a quality which one of them aptly dubbed, "integrated intelligence". I have indeed had vast life experience and have become what some people call an "emotional genius". I often can get to the "root cause" of what is emotionally blocking an individual, couple or family. I am very grateful that I can share this gift. Please contact me to enhance your life and to make the most of each moment. ....I have two locations, both of which are very relaxed and healing environments. One is located on Bank St., in the Southminster United Church, in Old Ottawa South, right on the Rideau Canal. My second location is in my west end home office, at Hunt Club and Greenbank Roads, in Nepean. I work out of the Bank St. office on Mondays and out of the west end Nepean office on Tuesdays, Wednesdays, Thursdays and Fridays. I provide official receipts for health insurance purposes. ...I have been practising a wide variety of healing modalities for over 40 years. I have travelled extensively all over the western world taking part in workshops and conferences and participating in experiential learning activities related to counselling, coaching, mediation, hypnotherapy and human growth and potential. This has helped me to "burn out" many of the cultural and parochial attitudes and biases that many mental health professionals invisibly carry with them when dealing with individuals, couples and families. I am what is called a multi-cultural, empowerment counsellor. My favourite quote is, "Listening well is the most eloquent sign of caring."